Gina Jolly is in her 22nd year of teaching music K-12. She is currently serving her 13th year as Choral Director at Greenwood High School. Choirs under her direction have consistently received superior ratings at Choral Festivals for Performance and Sight Reading. Gina received her BA in Music Education from North Greenville College in 1996, and Masters in Music Education from University of South Carolina in 2005. She received National Board Certification in 2002 and renewed National Board Certification in 2012. She is a member of ACDA, American Choral Directors Associaion and a member of MENC, Music Educators National Conference for South Carolina where she has served as President of the SCMEA Choral Division, and was on the SCMEA Executive board for six years. . She has served on the All- State Committee and the Choral Festival Committee and has served as a judge for the South Carolina All- State Chorus. 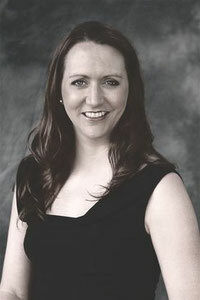 Gina has served as a Clinician for several Choral Clinics in South Carolina. Gina is married to Kevin Jolly and they have two daughters, Kayla and Rachel.